Silvia Dumitrache forewarns me: “I hope you have the time to listen”, to the story of what’s been happening over the last eleven years in Italy, a member of the European Union. When it’s over, I ask permission to drop the phone: what I’ve just heard isn’t some description of a nightmare, but the everyday experience of many migrant Romanian women. Slavery still exists. And it’s all the more terrible for how, all too often, it’s accepted. “It all starts in Romania”, says Dumitrache, president of the Association of Romanian women in Italy (ADRI), “in Botoșani, one of the most neglected regions of the country, from where the women began to emigrate in 2007. The exodus has been constant. They leave to pick tomatoes in Italy, in Ragusa. And often they leave without knowing what they’ll face. The saddest thing is that even when they manage to escape, they always end up returning, forced by spiraling debts owed to people from whom they’ve borrowed, pushing them to leave once again to earn back their money”. The story unfolds, ever more terrifying, as if it was drawn from some old novel about slavery. The scandal is not new; it reemerges periodically and expands like a soap bubble. There are police raids, visits from authorities, and occasionally there is some glimmer of hope. This awful story, right at our doorstep? In Sicily? 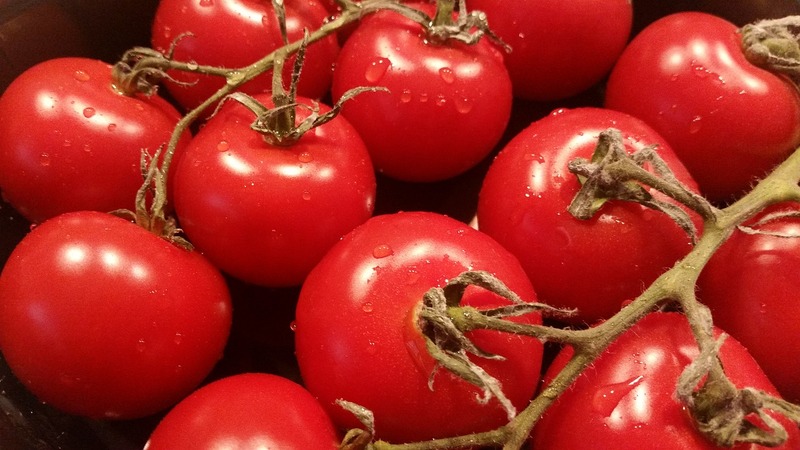 The rather banal business of tomato farming in Ragusa, which over time has become the largest exporter of Italian tomatoes in Europe, is also one of the most sordid affairs on the continent. In the beginning there was Romania’s accession to the EU, in 2007. And the massive surge in labour power that hit the Italian, Spanish, French and British markets. The women came to work, but once they arrived in Ragusa they found themselves obliged to offer sexual services to their employers in order to keep their jobs. “The labour force that arrived from Romania was more accommodating, more inclined to accept compromises”, explains Silvia Dumitrache. “Romanian women are already in some sort of slavery, at the hands of their men, often beaten… Many of them leave Romania precisely to escape this violence. They say, even if they are exploited, at least in Italy they earn some money. Then there’s another aspect: in this kind of work, if they accept the requests for sexual favours from employers, they can keep their children close by, whereas if they had to be constant carers it wouldn’t be possible”. But work in the fields, under the suffocating surveillance of the bosses? And all those years in which just one attentive observer could have asked questions about the abnormal amount of abortions performed in the hospital in Vittoria? Then the articles started appearing. First in the Italian press, then the Guardian. And a book was published, Voi li chiamate clandestini (You call them illegals), and the facts of the matter were related by the Italian NGO, Proxima. While the police and public prosecutor are aware of the story, results have been lacking, because in Italy the resources for these institutions are rather limited. As Silvia Dumitrache recounts, for the issue to be taken seriously there had to be protests from – ironically enough – employers, who were worried about the international market as products labelled Ragusa were targeted by boycotts as a result of the scandal. “Their pressure, which involved lobbying at the European level, pushed things forward. Then the arrests began, to the detriment of the mafia, which holds control of the situation. But it is still not enough”. These events, often under the spotlight of the European media, captured the attention of international public opinion and, most important of all, European institutions. In a sense, it was to be expected, given that the legislation in this sector exists but is not sufficiently applied. On the request of certain MEPs, the European Parliament committee for women’s rights and gender equality, Femm – of which the current Romanian prime minister, Viorica Dancila, MEP until January 2018, was also a member – undertook a visit to Ragusa . Many MEPs brought questions to the European Commission, and the Romanian and Italian governments launched a bilateral working table on the issue. On the European political level, there followed resolutions, working groups and enquiries; at the local level, there were arrests and raids. The bilateral visits intensified and, last May, the Romanian government launched a program called “Leave informed!”, which aims to provide information for those intending to emigrate. “In addition”, observes the MEP Emilian Pavel, “the Romanian ministers for labour and the diaspora adopted joint provisions with the Italian labour minister”. Emilian Pavel, member of the Progressive Alliance of Socialists and Democrats in the European Parliament , is just one of the MEPs who since last autumn have kept fighting to end cases of slavery, which continue to exist well into the 21st century. A pan-European boycott against products from Ragusa? “Certain revelations necessarily produce strong reactions, and MEPs are extremely sensitive and attentive to the question of gender. It is still not too late to organise a pan-European boycott against products that come from areas where slavery is practiced, or are the fruit of such practices. holding a human being, a woman, in slavery, is a humiliation for every human being”, says Emilian Pavel. “European institutions can and should act in conformity with their mission and their treaties. There are definitely things that can be done at the European level, such as monitoring the application of the European legislation currently in force, and accelerating the implementation of all the international accords. But above all we need to to give concrete support to the victims! These incidents need to be brought before the judges. Unfortunately, it’s a difficult task; we can understand, on the human level, that the victims of slavery, after years of humiliation, struggle to find the power to bring the guilty to justice. I am a member of the European Parliament committee for civil liberties, justice and home affairs; we fight against gender discrimination and put pressure on states to apply the Istanbul convention, approved in 2011 by the European Council, on the prevention of domestic violence and violence against women”. Nevertheless, according to Pavel, one the factors that have contributed most significantly to such problems is the very existence of black market labour. Many women find themselves in these situations because the Italian authorities have had no success in combating such labour. “The principle is simple. So simple in principle given how terrible the reality is. Black market labour brings abuses, increases inequality, and causes tragedies. We all need be much more determined in our fight against it”.